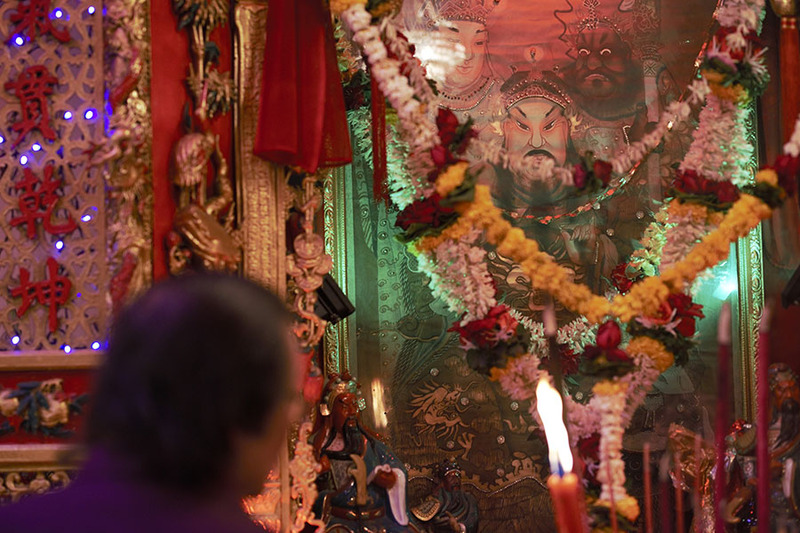 On the Chinese Lunar New Year’s Eve, more than a hundred Chinese people gather at the only Chinese-style temple in Mumbai – the Kwan Kung shrine in the Mazgaon neighborhood – to draw divination sticks and pray with burning joss sticks. In celebration of the Spring Festival, they also perform lion dances in the narrow alley in front of the shrine, to the sound of beating gongs and drums. The three-story shrine has survived for a century. Located in a remote area, the Kwan Kung shrine sees few visitors except on Lunar New Year’s Eve and during the Mid-autumn Festival, when local ethnic Chinese come here to worship the deities: Kwan Kung, a renowned Chinese general of the Three Kingdoms period (220-265), is enshrined on the third floor, and Sakyamuni and Avalokitesvara, two major figures in Buddhism, are on the first floor. Walking into the shrine through the red gate, you can see incense on the altars, sculptures of Chinese dragons painted in gold and embroidered curtains. 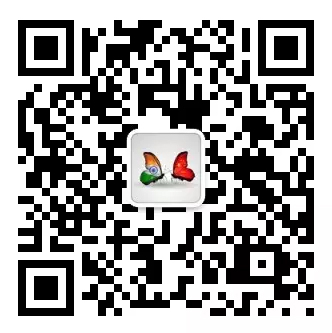 The 1950s were the good old days for the Chinese community in Mumbai, when Chinese schools, newspapers and organizations sprung up one after another. It is said that the ship factories alone employed 5,000 to 6,000 Chinese workers at that time. 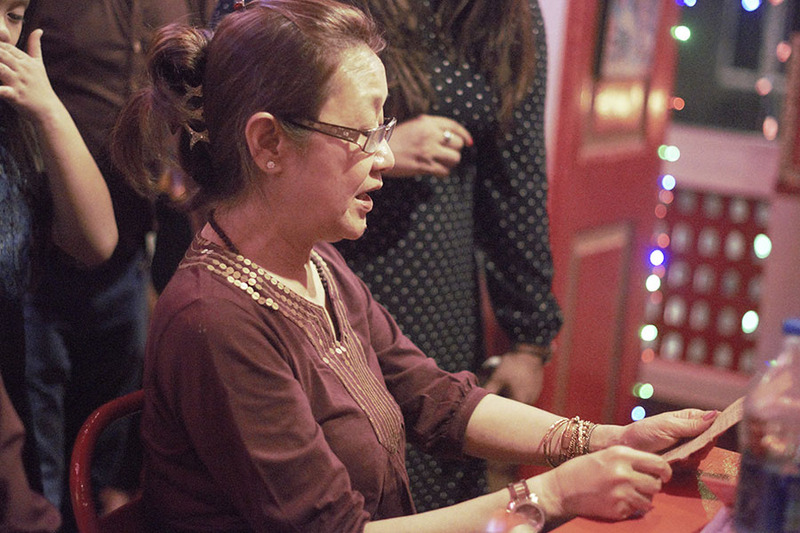 However, the number of ethnic Chinese in Mumbai has declined to just a few hundred nowadays. Most of them reside in the suburbs, running restaurants, barber shops or dental practices for a living. 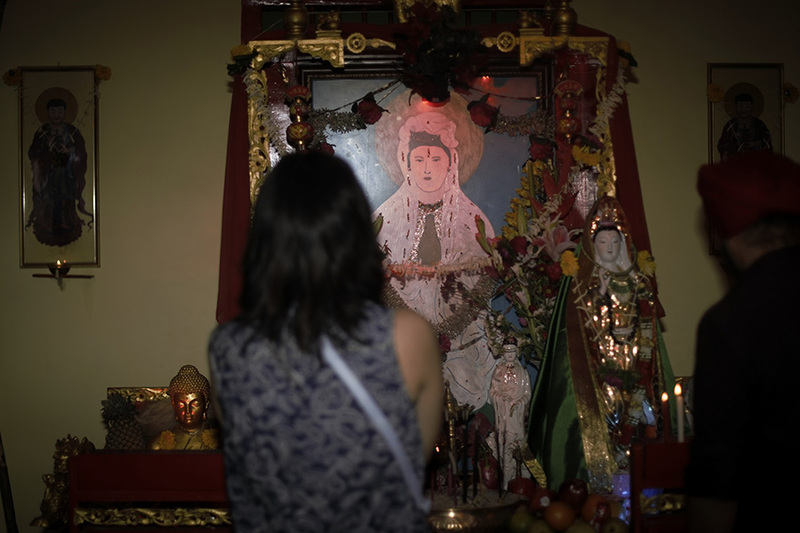 Decades have passed as the Chinese community in Mumbai has scattered, but the Kwan Kung shrine has always been a lighthouse guiding them back together. 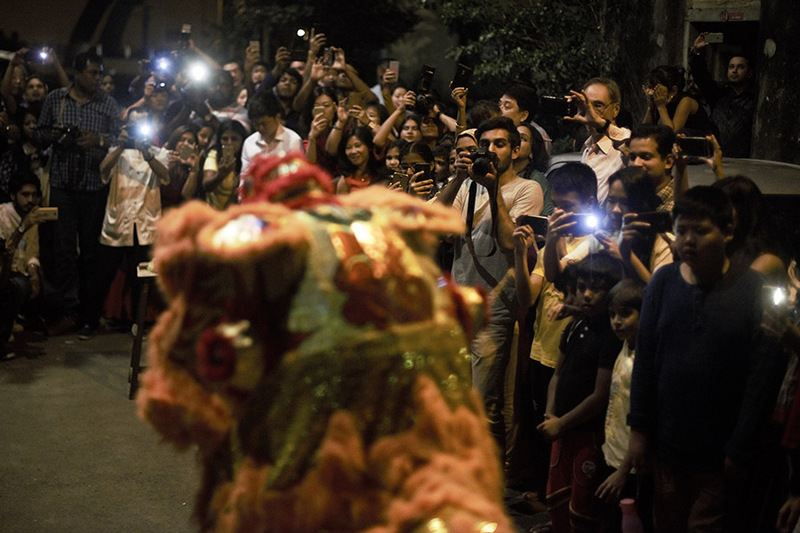 The lively lion dance draws a crowd in the alley in front of the Kwan Kung shrine. 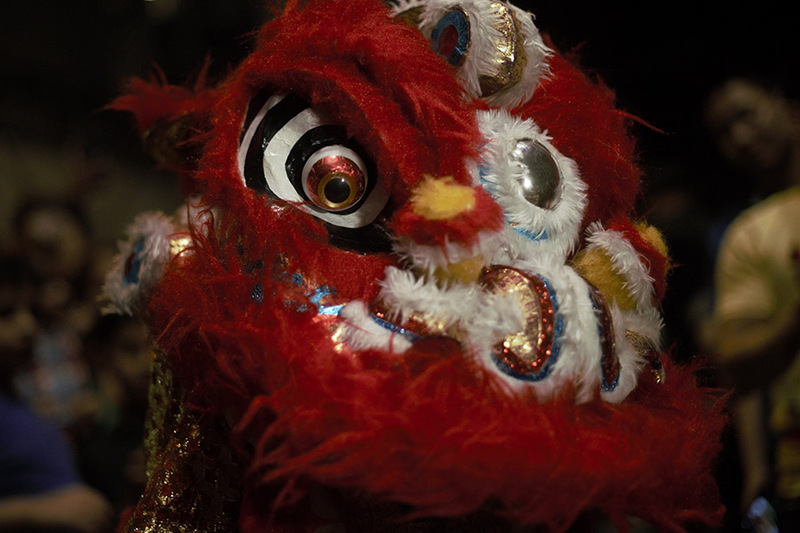 The lion dance has been part of Chinese folk art for a millennium. It is a Chinese tradition to liven up a festival or a celebration with a lion dance, because Chinese people believe it helps them fend off evils and ghosts. The “福” (luck) sticker in the Kwan Kung shrine. 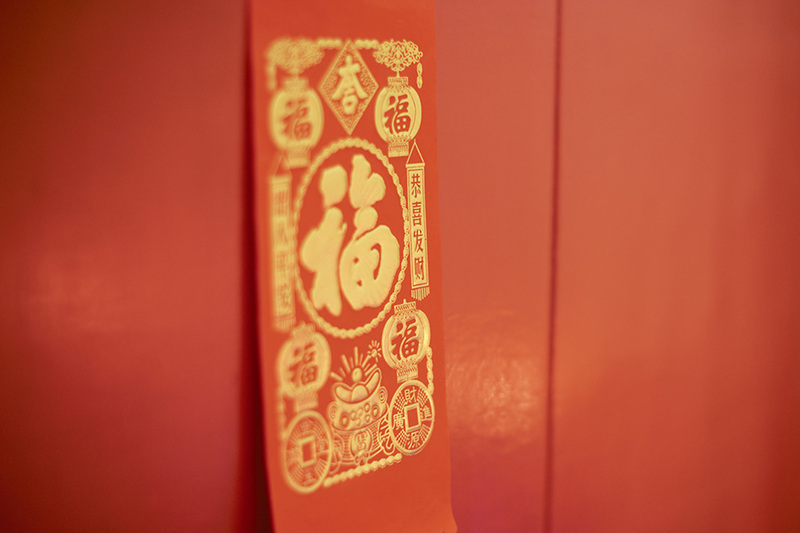 In China, stickers with the Chinese character “福” are pasted all over doorways, windows and walls from house to house in celebration of the Spring Festival, encapsulating people’s wishes for a better life. Devotees light candles and joss sticks in the Kwan Kung shrine to pray for safety, health and good luck during the Lunar New Year. Avalokitesvara, a symbol of mercy and wisdom in Buddhism, is enshrined on the first floor of the shrine building. 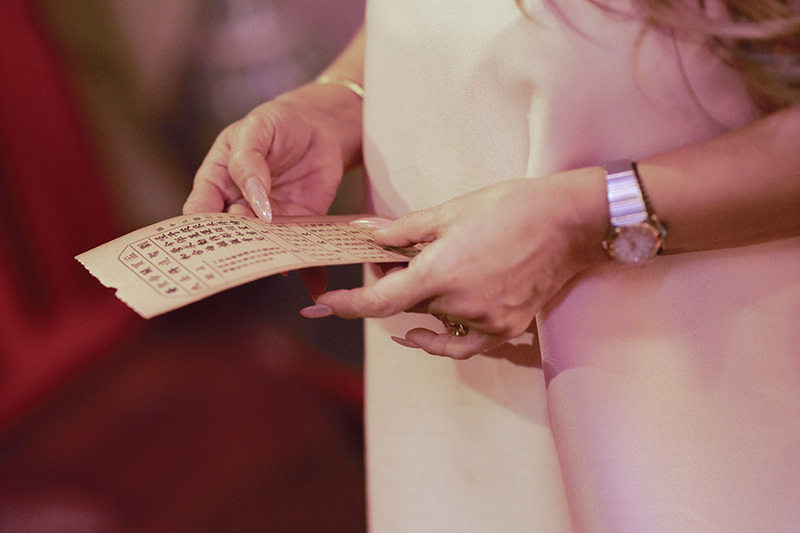 It is a Chinese folk convention that people come to temples to draw divination stickers and predict their fortune. 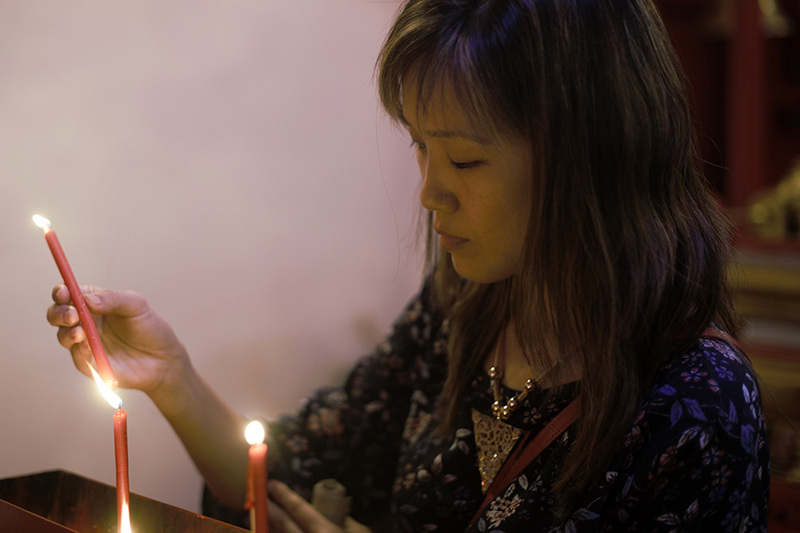 Worshippers receive signs in the Kwan Kung shrine through messages on a piece of paper, from which they read the “answers” given by Kwan Kung to the questions that are on their minds. 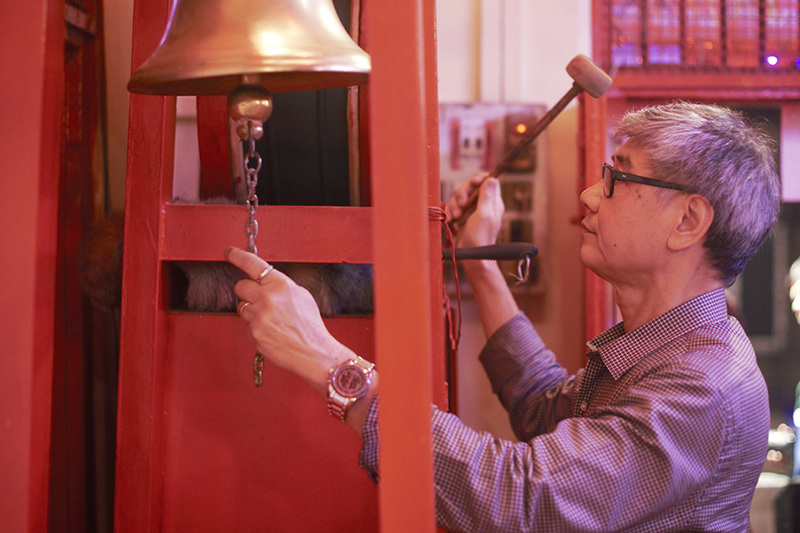 People toll a bell in the Kwan Kung shrine to pray for good luck, for they believe it helps ward off troubles and disasters. Photographs courtesy of Bi Xiaoyang.